In today’s world, it isn’t enough to just talk about products. 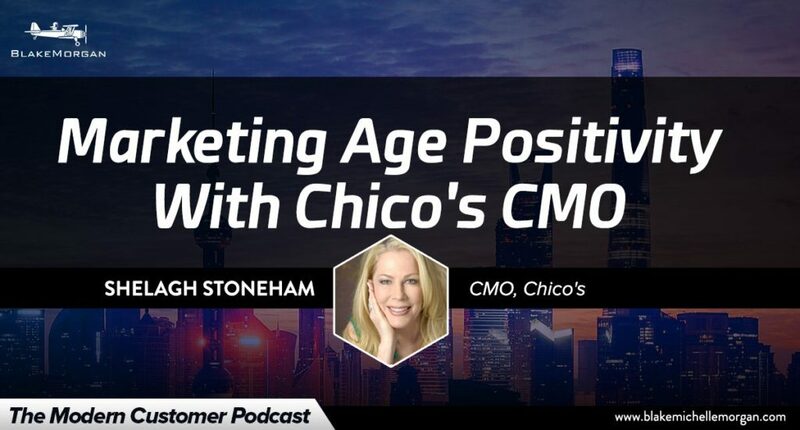 Customers, especially women, care about a brand’s purpose and want a brand to stand for something they can relate to, says Chico’s SVP Marketing Shelagh Stoneham. Studies have shown that women are most comfortable with themselves when they are 60 years old, but so many messages in society go against that and say that older women shouldn’t take risks and be bold. Chico’s aims to show that women can do anything at any age and that women should dress themselves in a way that is true to them, regardless of their age. At Chico’s, aging is a badge of honor, not something that should be hidden.